“I left my family behind. No mother, no father. And no papers”. Nurullah is a 15-year-old Afghan boy. Under a dark and very cold sky, Nurullah is standing in front of a mosque in ?stanbul’s Beykoz district. He is not alone here. Other Afghan men are waiting with him. This spot is where Afghan migrants seek daily jobs every morning. Job hunting begins before dawn: if they are lucky enough, a car will arrive to pick them up. If not, tomorrow morning they will be back, because daily job hunting never ends. According to official statistics, Afghans rank first among irregular immigrants in Turkey. The number of Afghan immigrants coming to Turkey, however, increased last year. Deteriorating security in Afghanistan, removal of Afghan refugees from Turkey’s neighbouring countries, the worsening economic situation in Iran, and the construction of a 144 km-long wall along the Iranian border, which is expected to be finished this year, are behind increasing Afghan migration to Turkey. “The war in Afghanistan has been going on for 40 years now. As a result of the unstable and dangerous environment, unemployment rates are very high. The situation is getting worse every day. More and more Afghans are arriving in Turkey through Iran”, says Zakira Hekmat, founder and director of the Afghan Refugees Solidarity and Aid Association in Turkey. Increasing numbers of Afghan immigrants pave the way for detention periods for the deportation process. Arbitrary removal is an important issue for irregular immigration. After a sharp increase in arrivals of Afghan immigrants to Turkey during the first quarter of 2018, Turkey and Afghanistan signed an agreement to facilitate deportation. 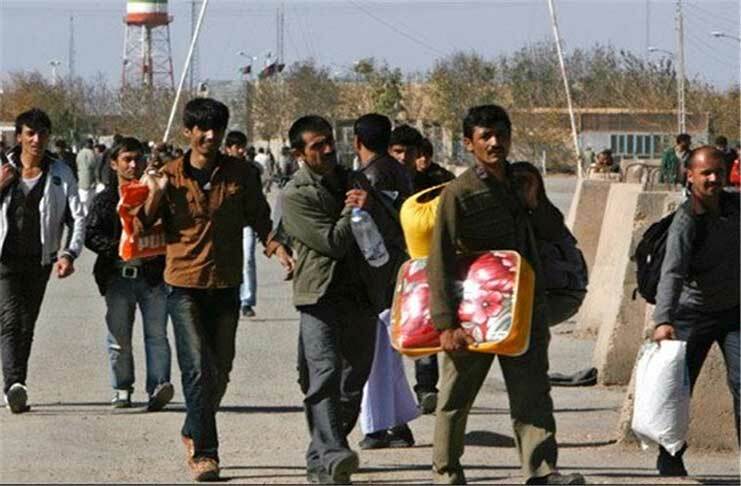 According to statistics by Turkey’s Directorate General of Migration Management, in 2018 over 31,000 Afghans were arbitrarily deported, i.e. 55% of last year’s total deportation numbers. Zab?hullah’s friends are among those Afghans who were sent back to their countries. “Police collected some of my friends last week. They are gone but I don’t want to go back to Afghanistan. We are at risk of being forced back to danger”, says the 18-year-old Afghan boy. Zab?hullah was living in the Faryab province before coming to Turkey. After a long journey through Pakistan and Iran, he arrived in Turkey a couple of months ago. Zab?hullah doesn’t plan to go back to Afghanistan in the near future. He is currently working at construction sites 12 hours a day and getting paid 70 Turkish liras (11 Euros) for a work day. “I can’t find a job every day. Supporting my family financially is my dream but right now it is not possible. If I go back today, I know that I can’t make any money there. Life is not easy in ?stanbul either but here at least I have some hope”. When we start talking about housing conditions, another Afghan immigrant, Habib, joins our conversation. “Sister, animals won’t live where we are living now. It cannot be described as a house. I swear an animal couldn’t stay there for long”, says Habib. Despite the inhumane living conditions, Habib wants to stay in Turkey and he is also fearful of deportation. Turkish officials claim that the returns of Afghan immigrants are voluntary. However, Amnesty International found out that refugees were forced to sign voluntary repatriation forms in Turkish which they were unable to understand. Zakira Hekmat too confirms these arbitrary actions. “We have several videos and photos showing Afghans being abused in removal centres to sign repatriation forms without a translator. Sometimes fingerprints are taken during migrants’ sleep”, states Hekmat. Treatment of immigrants like criminals in Turkey’s removal centres is a common criticism by experts on the field. On the other hand, it is no surprise that abused immigrants are afraid to lodge any complaint against Turkish officials. A 17-year-old boy who was beaten to death in a removal centre still lingers strongly in memories. Lütfullah Tacik had arrived in Turkey in 2014. Like every other child his age, he left Afghanistan dreaming of building a new life. He was arrested by the Turkish police in the city of I?d?r. Since he was still a minor, he was sent to a youth centre affiliated with the Turkish Ministry of Family and Social Policies in the city of Van, with six other Afghan children. To determine their ages, two police officers took the seven children to the removal centre in Van for bone age examination. Witnesses claimed that afterwards he was slapped and punched in the stomach. Lütfullah fell down and started foaming at the mouth. The 17 year-old boy was taken to the hospital a couple of hours after being tortured. After getting treatment in the intensive care unit for two days, Lütfullah died in the hospital. Lawyer Mahmut Kaçan, a former protection associate for the UN High Commissioner for Refugees (UNHCR), became aware of Lütfullah’s death by chance. An Afghan couple detained in the removal centre for a while told him about some rumours of a young boy’s death. At first Kaçan didn’t believe them, but shortly after looking into the allegations he found out that the claims were true. “The Prosecutor failed to collect evidence. Security camera footage at the crime scene was missing. Two police officers were put on trial but the court never issued an arrest warrant. Most importantly, they are not accused of torture. That alone explains a lot”, says Mahmut Kaçan. The case of Lütfullah Tacik’s death is not over yet. The two police officers who allegedly beat the Afghan boy to death do not show up at trials. Lawyer Kaçan thinks that immigrants can barely make their voices heard over maltreatment or torture incidents and their stories are invisible most of the time. “If we as lawyers had not followed up on the investigation closely, maybe the trial would never have started. Torture and ill-treatment of refugees and immigrants are carried out with impunity”, says tells the lawyer. Kaçan reminds that Turkey’s removal centres are funded by EU. The UNHCR, on the other hand, has also access to 23 centres operated by the Turkish Directorate General of Migration Management. Afghan men are well aware of possible dangerous situations, but they have no other choice. Turkey’s geographical position makes it an important transit country for many people. Activist Zakira Hekmat is a defender of immigrants’ rights now, but like others she had to escape the war in Afghanistan. Hekmat came to Turkey to study medicine in 2006. She says that, even though some Afghan children want to continue their studies, they cannot afford tuition fees in Turkey. Necip is one of those young men who regret dropping school and not being able to go back.